Once you arrive at 7 World Trade Center (250 Greenwich St, New York, NY10007, USA). Please use the D Elevator Bank to the 40th floor where Sachs Team will welcome you at the registration desk. Or Mina@sachsforum.com (cell number +44 74 636 695 04) Cells available from 15th March. The 2nd Annual Sachs Cancer Bio Partnering & Investment Forum is designed to bring together thought leaders from cancer research institutes, patient advocacy groups, pharma and biotech to facilitate partnering and funding/investment. We expect around 200 delegates and there is an online meeting system and meeting facilities to make the event transactional. There will also be a track of about 30 presentations by listed and private biotechnology companies seeking licensing/investment. Boris Peaker, Executive Director, Biotechnology Equity Research, Oppenheimer & Co. Inc.
Doug Plessinger, Vice President of Clinical and Medical Affairs, Argos Therapeutics, Inc.
Harren Jhoti, President, Astex Pharmaceuticals Inc.
Kevin DeGeeter, Analyst, Ladenburg Thalmann & Co, Inc.
Robert Petit, CSO, Advaxis Inc.
Presenting at the forum offers excellent opportunities to showcase activities and highlight investment and partnership opportunities. Biotech companies will be able to communicate investment and licensing opportunities. These are for both public and private companies. The audience is comprised of financial and industry investors. These are streamed 15 minute presentations. The patient advocacy presentations are 30 minutes. Sachs forums are recognised as the leading international stage for those interested in investing in the biotech and life science industry and are highly transactional. They draw together an exciting cross-section of early-stage/pre-IPO, late-stage and public companies with leading investors, analysts, money managers and pharmas. The Boston forum provides the additional interaction with the academic/scientific and patient advocacy communities. Mina Orda + 44 (0)203 463 4890 or by email: Mina Orda. The beta blocker metoprolol succinate (Toprol-XL, AstraZeneca) also landed on the list, posted on the FDA Web site last month, because of reports that suggested therapeutic ineffectiveness. The US Food and Drug Administration (FDA) has put a class of antiemetic drugs, including ondansetron (Zofran, GlaxoSmithKline, and Zuplenz, Par Pharmaceutical), on its latest quarterly list of products to monitor because of potential signals of an increased risk for serotonin syndrome. The agency received reports of possible adverse events for these products in the FDA Adverse Event Reporting System (FAERS) database during the first 3 months of 2013. The FDA cautions that an appearance on the watch list does not mean that the agency has concluded that the drug poses the health risk reported through FAERS. What it does mean is that the FDA will investigate whether there is a causal connection. If there is one, the agency would consider a regulatory action such as collecting more data to better characterize the risk, revising the drug’s label, or requiring a risk evaluation and mitigation strategy. Likewise, by adding a drug to the list, the FDA is not implying that clinicians should cease prescribing it or that patients should stop taking it, the agency says. The antiemetics on the watch list belong to a subtype of serotonin blockers that bind to the 5-HT3 receptor. Clinicians prescribe them to prevent nausea and vomiting in patients undergoing chemotherapy for cancer. Serotonin syndrome, which was reported to FAERS in conjunction with these antiemetics, is caused by excessive levels of the neurotransmitter. It can be fatal. Symptoms include confusion, agitation, dilated pupils, headache, rapid heart rate, and changes in blood pressure and temperature. The other drug on the latest watch list, metoprolol succinate, is used to treat angina, heart failure, and hypertension. At the University of Phoenix®College of Health Sciences and Nursing, we have the cure for the common curriculum. Our coursework focuses on key critical-thinking and leadership skills. Metoprolol succinate (Toprol-XL, AstraZeneca) extended-release products Lack of therapeutic effect, possibly related to product quality issues FDA is continuing to evaluate this issue to determine the need for any regulatory action. Serotonin-3 (5-HT3) receptor antagonist products: ondansetron(Zofran, GlaxoSmithKline, andZuplenz, Par Pharmaceutical), palonosetron (Aloxi, Helsinn Healthcare), granisetron (Kytril, Hoffmann-La Roche) Serotonin syndrome FDA is continuing to evaluate this issue to determine the need for any regulatory action. Rochester, NY – Treatment with carvedilol is associated with a significant 30% reduction in the risk of hospitalization for heart failure (HF) or death when compared with patients treated metoprolol, according to a new analysis of the Multicenter Automatic Defibrillator Implantation Trial with Cardiac Resynchronization Therapy (MADIT-CRT) . The benefit of carvedilol over metoprolol was more pronounced in the subgroup of patients with a cardiac resynchronization therapy defibrillator (CRT-D), where carvedilol was associated with a significant 39% reduction in the risk of hospitalization for HF or death, and in those with left bundle branch block (LBBB). In the LBBB patients with a CRT-D, treatment with carvedilol was associated with a 49% reduction in risk compared with metoprolol. “Furthermore, we found a pronounced dosage-dependent relationship between outcome and dose in carvedilol, which was not found in metoprolol-treated patients,” write Dr Martin Ruwald (University of Rochester Medical Center, New York) and colleagues in the April 1, 2013 issue of the Journal of the American College of Cardiology. The MADIT-CRT study was presented and published in 2009 and included patients with mild HF or left ventricular dysfunction without symptoms. Participants in the trial had NYHA class 1 and 2 disease, systolic dysfunction, and ventricular dyssynchrony (wide QRS complexes). As reported by heartwire, the study showed that the addition of resynchronization pacing in primary-prevention patients with an implantable cardioverter defibrillator (ICD) reduced the risk of HF events by approximately one-third over 2.5 years. Both metoprolol and carvedilol have a class IA indication in the management of patients with HF, with choice of the drug left to the discretion of the physician. In the Carvedilol or Metoprolol European Trial (COMET), there was an absolute 5.7% survival benefit with carvedilol over metoprolol. Other studies and analyses have suggested that there are differences between the two beta-blockers, say Ruwald and colleagues. In this analysis of MADIT-CRT, which included 1515 patients with left ventricular ejection fraction (LVEF)<30%, QRS duration >130 ms, and NYHA functional class 1 or 2, the primary end point of hospitalization for HF or death from any cause occurred in 132 patients (30%) taking metoprolol and 243 patients (23%) taking carvedilol. During the 3.4-year follow-up, 48 patients (11%) taking metoprolol and 104 patients (10%) taking carvedilol died. In multivariate analysis, the reduction in the primary end point with carvedilol translated into a 30% reduction in risk compared with metoprolol, a benefit that was driven primarily by a reduction in HF hospitalizations. There was only a trend toward a reduction in the risk of ventricular tachycardia/ventricular fibrillation (VT/VF). The reduction in the risk of hospitalization for HF/death from any cause was more pronounced in patients receiving CRT-Ds. The researchers note that mean carvedilol and metoprolol doses in MADIT-CRT were 18 mg and 64 mg, respectively. These dosages are comparable to real-life dosages administered to patients in the clinical setting, although somewhat lower than in previous randomized controlled trials, according to the researchers. “We speculate that low baseline resting heart rates in our study indicate that the patients generally were well titrated at baseline and that the rate may have contributed to a relatively low dose in both metoprolol and carvedilol compared with the beta-blocker dosage in clinical trials,” state Ruwald et al. J Am Coll Cardiol. 2013 Apr 9;61(14):1518-26. doi: 10.1016/j.jacc.2013.01.020. Effect of metoprolol versus carvedilol on outcomes in MADIT-CRT (multicenter automatic defibrillator implantation trial with cardiac resynchronization therapy). Ruwald MH, Ruwald AC, Jons C, Alexis J, McNitt S, Zareba W, Moss AJ. This study sought to compare the effects of metoprolol and carvedilol in the MADIT-CRT (Multicenter Automatic Defibrillator Implantation Trial With Cardiac Resynchronization Therapy) study. The impact of beta-blockers in heart failure (HF) patients with devices is uninvestigated. All patients receiving either metoprolol or carvedilol in the MADIT-CRT study were identified and compared. Time-dependent Cox proportional hazard regression analyses were performed to assess differences in hospitalization for HF or death and ventricular arrhythmias. Hospitalization for HF or death occurred in 30% of the patients on metoprolol and in 23% on carvedilol. Treatment with carvedilol was associated with a significantly decreased risk of hospitalization for HF or death when compared with metoprolol (hazard ratio [HR]: 0.70, [95% confidence interval (CI): 0.57 to 0.87], p = 0.001). This reduction in risk was further attenuated in the subgroup of cardiac resynchronization therapy with implantable cardioverter-defibrillator (CRT-D) patients (HR: 0.61 [95% CI: 0.46 to 0.82], p = 0.001) and CRT-D patients with left bundle branch block (LBBB) (HR: 0.51 [95% CI: 0.35 to 0.76], p < 0.001). Ventricular arrhythmias occurred in 26% and in 22%, respectively, of the patients receiving metoprolol or carvedilol (HR: 0.80 [95% CI: 0.63 to 1.00], p = 0.050). General use of beta-blockers and adherence in this study was high, and a clear dose-dependent relationship was found in carvedilol, but not in metoprolol. In HF patients in New York Heart Association functional class I and II and with wide QRS complexes, carvedilol was associated with a 30% reduction in hospitalizations for HF or death when compared with metoprolol. A novel beneficial and synergistic effect of carvedilol was seen in patients with CRT-D and LBBB. Furthermore, we found a pronounced dose-dependent relationship in carvedilol, but not in metoprolol. On February 12, the FDA approved safety labeling revisions for metoprolol succinate (Toprol-XL extended-release tablets; AstraZeneca LP) to provide recommendations regarding its use in the setting of pheochromocytoma. Patients diagnosed with pheochromocytoma should only receive extended-release metoprolol in combination with an alpha-blocker and only after alpha-blocker therapy has been initiated. Administration of beta-blockers alone in this setting has been linked to a paradoxic increase in blood pressure because of the attenuation of beta-mediated vasodilation in skeletal muscle. Metoprolol is a beta 1-selective (cardioselective) adrenoceptor-blocking agent indicated for the treatment of hypertension; angina pectoris; and stable, symptomatic heart failure of ischemic, hypertensive, or cardiomyopathic origin. Metoprolol succinate is a white crystalline powder with a molecular weight of 652.8. It is freely soluble in water; soluble in methanol; sparingly soluble in ethanol; slightly soluble in dichloromethane and 2-propanol; practically insoluble in ethyl-acetate, acetone, diethylether and heptane. Inactive ingredients: silicon dioxide, cellulose compounds, sodium stearyl fumarate, polyethylene glycol, titanium dioxide, paraffin. Metoprolol is a beta1-selective (cardioselective) adrenergic receptor blocking agent. This preferential effect is not absolute, however, and at higher plasma concentrations, metoprolol also inhibits beta2adrenoreceptors, chiefly located in the bronchial and vascular musculature. Metoprolol has no intrinsic sympathomimetic activity, and membrane-stabilizing activity is detectable only at plasma concentrations much greater than required for beta-blockade. Animal and human experiments indicate that metoprolol slows the sinus rate and decreases AV nodal conduction. In five controlled studies in normal healthy subjects, the same daily doses of TOPROL-XL and immediate release metoprolol were compared in terms of the extent and duration of beta1-blockade produced. Both formulations were given in a dose range equivalent to 100-400 mg of immediate release metoprolol per day. In these studies, TOPROL-XL was administered once a day and immediate release metoprolol was administered once to four times a day. A sixth controlled study compared the beta1-blocking effects of a 50 mg daily dose of the two formulations. In each study, beta1-blockade was expressed as the percent change from baseline in exercise heart rate following standardized submaximal exercise tolerance tests at steady state. TOPROL-XL administered once a day, and immediate release metoprolol administered once to four times a day, provided comparable total beta1blockade over 24 hours (area under the beta1-blockade versus time curve) in the dose range 100–400 mg. At a dosage of 50 mg once daily, TOPROL-XL produced significantly higher total beta1-blockade over 24 hours than immediate release metoprolol. For TOPROL-XL, the percent reduction in exercise heart rate was relatively stable throughout the entire dosage interval and the level of beta1-blockade increased with increasing doses from 50 to 300 mg daily. The effects at peak/trough (ie, at 24-hours post-dosing) were: 14/9, 16/10, 24/14, 27/22 and 27/20% reduction in exercise heart rate for doses of 50, 100, 200, 300 and 400 mg TOPROL-XL once a day, respectively. In contrast to TOPROL-XL, immediate release metoprolol given at a dose of 50–100 mg once a day produced a significantly larger peak effect on exercise tachycardia, but the effect was not evident at 24 hours. To match the peak to trough ratio obtained with TOPROL-XL over the dosing range of 200 to 400 mg, a t.i.d. to q.i.d. divided dosing regimen was required for immediate release metoprolol. A controlled cross-over study in heart failure patients compared the plasma concentrations and beta1-blocking effects of 50 mg immediate release metoprolol administered t.i.d., 100 mg and 200 mg TOPROL-XL once daily. A 50 mg dose of immediate release metoprolol t.i.d. produced a peak plasma level of metoprolol similar to the peak level observed with 200 mg of TOPROL-XL. A 200 mg dose of TOPROL-XL produced a larger effect on suppression of exercise-induced and Holter-monitored heart rate over 24 hours compared to 50 mg t.i.d. of immediate release metoprolol. The relationship between plasma metoprolol levels and reduction in exercise heart rate is independent of the pharmaceutical formulation. Using an Emax model, the maximum effect is a 30% reduction in exercise heart rate, which is attributed to beta1-blockade. Beta1-blocking effects in the range of 30– 80% of the maximal effect (approximately 8–23% reduction in exercise heart rate) correspond to metoprolol plasma concentrations from 30-540 nmol/L. The relative beta1-selectivity of metoprolol diminishes and blockade of beta2-adrenoceptors increases at plasma concentrations above 300 nmol/L. In other studies, treatment with TOPROL-XL produced an improvement in left ventricular ejection fraction. TOPROL-XL was also shown to delay the increase in left ventricular end-systolic and end-diastolic volumes after 6 months of treatment. Adults In man, absorption of metoprolol is rapid and complete. Plasma levels following oral administration of conventional metoprolol tablets, however, approximate 50% of levels following intravenous administration, indicating about 50% first-pass metabolism. Metoprolol crosses the blood-brain barrier and has been reported in the CSF in a concentration 78% of the simultaneous plasma concentration. Plasma levels achieved are highly variable after oral administration. Only a small fraction of the drug (about 12%) is bound to human serum albumin. Metoprolol is a racemic mixture of R- and S- enantiomers, and is primarily metabolized by CYP2D6. When administered orally, it exhibits stereoselective metabolism that is dependent on oxidation phenotype. Elimination is mainly by biotransformation in the liver, and the plasma half-life ranges from approximately 3 to 7 hours. Less than 5% of an oral dose of metoprolol is recovered unchanged in the urine; the rest is excreted by the kidneys as metabolites that appear to have no beta-blocking activity. Following intravenous administration of metoprolol, the urinary recovery of unchanged drug is approximately 10%. The systemic availability and half-life of metoprolol in patients with renal failure do not differ to a clinically significant degree from those in normal subjects. Consequently, no reduction in dosage is usually needed in patients with chronic renal failure. In comparison to conventional metoprolol, the plasma metoprolol levels following administration of TOPROL-XL are characterized by lower peaks, longer time to peak and significantly lower peak to trough variation. The peak plasma levels following once-daily administration of TOPROL-XL average one-fourth to one-half the peak plasma levels obtained following a corresponding dose of conventional metoprolol, administered once daily or in divided doses. At steady state the average bioavailability of metoprolol following administration of TOPROL-XL, across the dosage range of 50 to 400 mg once daily, was 77% relative to the corresponding single or divided doses of conventional metoprolol. Nevertheless, over the 24-hour dosing interval, ß1-blockade is comparable and dose-related (see CLINICAL PHARMACOLOGY). The bioavailability of metoprolol shows a dose-related, although not directly proportional, increase with dose and is not significantly affected by food following TOPROL-XL administration. (3) suppression of renin activity. In a double-blind study, 1092 patients with mild-to-moderate hypertension were randomized to once daily TOPROL-XL (25, 100, or 400 mg), PLENDIL® (felodipine extended release tablets), the combination, or placebo. After 9 weeks, TOPROL-XL alone decreased sitting blood pressure by 6-8/47 mmHg (placebo-corrected change from baseline) at 24 hours post-dose. The combination of TOPROL-XL with PLENDIL has greater effects on blood pressure. In controlled clinical studies, an immediate release dosage form of metoprolol was an effective antihypertensive agent when used alone or as concomitant therapy with thiazide-type diuretics at dosages of 100-450 mg daily. TOPROL-XL, in dosages of 100 to 400 mg once daily, produces similar ß1-blockade as conventional metoprolol tablets administered two to four times daily. In addition, TOPROL-XL administered at a dose of 50 mg once daily lowered blood pressure 24-hours post-dosing in placebo-controlled studies. In controlled, comparative, clinical studies, immediate release metoprolol appeared comparable as an antihypertensive agent to propranolol, methyldopa, and thiazide-type diuretics, and affected both supine and standing blood pressure. Because of variable plasma levels attained with a given dose and lack of a consistent relationship of antihypertensive activity to drug plasma concentration, selection of proper dosage requires individual titration. (2) all-cause mortality. Patients were stabilized on optimal concomitant therapy for heart failure, including diuretics, ACE inhibitors, cardiac glycosides, and nitrates. At randomization, 41% of patients were NYHA Class II, 55% NYHA Class III; 65% of patients had heart failure attributed to ischemic heart disease; 44% had a history of hypertension; 25% had diabetes mellitus; 48% had a history of myocardial infarction. Among patients in the trial, 90% were on diuretics, 89% were on ACE inhibitors, 64% were on digitalis, 27% were on a lipid-lowering agent, 37% were on an oral anticoagulant, and the mean ejection fraction was 0.28. The mean duration of follow-up was one year. At the end of the study, the mean daily dose of TOPROL-XL was 159 mg.
Fast Track or End Run? These days many research universities are constantly looking for new grant competitions and encouraging their faculty members to apply. On Friday, the University of California at Los Angeles took the unusual step of telling professors not to apply to a major new grant competition from a pharmaceutical company, saying that the program violated university rules. An e-mail marked “urgent” was sent Friday to all faculty members and deans about the Discovery Fast Track Competition, which was just announced this month and for which the sponsor — GlaxoSmithKline — is approaching faculty members directly, bypassing technology transfer offices at universities. The company announced that the program was an attempt to reward academic researchers by offering a “fast track” to financing their most creative ideas. Faculty members are invited to submit short proposals and promised a quick decision later this year, leading to funding. The news release announcing the program this month said that grants would start promptly, without contract negotiations between the company, the researchers or their universities. 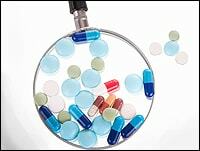 “To avoid initial contract negotiations, which are often perceived as the biggest bottleneck in the pharma/academia collaborative process, the [GlaxoSmithKline] team conceived the Discovery Fast Track competition as a means to rapidly identify and screen the most promising hypotheses in academia,” it said. Faculty members just started to receive invitations last week, and when UCLA officials saw the terms of the proposed agreement, they took a step they have not taken previously — and told the entire campus not to apply. “Please be advised that the terms and conditions do not adhere to UC policy because faculty have prior and ongoing obligations under the patent policy to disclose all discoveries to the university and have assigned patent rights to the university. Participation in the GSK competition would violate these policies and obligations,” said the e-mail, from James S. Economou, vice chancellor for research, and Brendan J. Rauw, associate vice chancellor for research and executive director of entrepreneurship. In an interview, Rauw said that most proposals for corporate support for faculty members are coordinated through the university, which can negotiate terms consistent with university rules. He said that there was an inherent problem in a company saying that there could be no contract negotiations. Further, Rauw said that faculty members were being asked to give away rights they didn’t necessarily have (since the university has rules both for sharing intellectual property and assuring that agreements are consistent with academic principles). He also said that the phrasing of the grant proposal suggested that “background IP” from past work might be covered — even though it was not clear the company was entitled to those rights. “This opens up our entire portfolio to a pharma company with no guarantee that our rights will be protected,” he said. Rauw said UCLA faculty members may be among the first to have received the invitations. When he conferred with colleagues on other UC campuses last week, they had yet to receive grant details. He noted that there has been “a perception” that universities “have given too much away” when dealing with pharmaceutical companies. Rauw said that UCLA has approved of grant relationships between GlaxoSmithKline and faculty members in the past (without problems), and that UCLA has reached out to the company to talk about how rules might be changed so that faculty members could participate. Last week I moderated a panel called “The New Rules of Partnerships and Collaborations” at the Convergence East conference on Cape Cod, and the experience gave me a chance to probe some of the biopharma industry’s top dealmakers about their preferences and prejudices going into talks with other companies. I’ve decided to write down three key observations or “rules” that emerged during the panel and other notes from the Convergence meeting. 1. Competition is heating up for compelling clinical-stage assets–and not just those in Phase III trials. Take Biogen Idec’s ($BIIB) recent buyout of Stromedix for its Phase II-ready antibody STX-100 for combating fibrosis. Apparently, Pfizer ($PFE) was interested in buying the asset, Jose-Carlos Gutierrez-Ramos, senior vice president of biotherapeutics R&D at the drug giant, revealed during the panel. Gutierrez-Ramos and Steven Holtzman, Biogen’s chief dealmaker (who obviously won the Stromedix deal), traded some jabs about why Biogen prevailed. The bottom line: Stromedix had options. 2. Which partners are most coveted among biotechs? At least in oncology, Celgene ($CELG) appears to be winning over collaborators. In one off-the-record conversation, two heads of business development told me that biotechs are warming up to the flexibility and creativity of the Summit, NJ-based drugmaker in deals. Celgene has been quite active with the recent buyout of Avila Therapeutics,partnership deal with Epizyme and ongoing tie-up with Agios Pharmaceuticals. Yet I wonder whether sharp biotech dealmakers in Cambridge, MA, are getting the best of Celgene at the negotiating table. This 3-part webinar series is specifically geared toward the non-science professional who needs to better understand industry terminology, science, techniques and issues. This series provides an overview of the science and technology used to enable discovery and the processes scientists use to discover new therapeutics. Register Now! For instance, one of my panelists, Anna Protopapas, executive vice president of global business development at Takeda Pharmaceutical, didn’t think that her company would have bought Avila Therapeutics under the terms that Celgene did early this year. Protopapas noted that the key asset in the deal, Avila’s Phase I Btk inhibitor, is a third-in-class compound, and first-in-class cancer drugs have an edge because of the difficulty that later drugs in the same class face in besting them. Did Celgene–which shelled out $350 million upfront and promised up to $575 million more in milestones–overpay for Avila? 3. Big Pharma can be your friend. Sure, we know about the monumental problems large drugmakers face from expiring patents on key drugs and assaults on their old business models. And, yes, drugmakers are entertaining all kinds of diverse deal structures with biotech companies to soften the blow. Yet every week or so we learn of another strategy drugmakers are using to efficiently develop products. Pfizer’s Gutierrez-Ramos shared one with me (though it wasn’t covered during the panel). He’s now looking for biotech partners that are interested in taking over development of drugs from Pfizer’s pipeline. He’s offering the compounds for free and willing to share in the success of the programs down the line. Of course, Pfizer’s strategy here builds on the Center for Therapeutic Innovation, which the drug giant expanded last year through several collaborations with academic groups, which work with CTI on translational research. Like CTI, externalizing clinical development of Pfizer compounds at biotech companies, including venture-backed startups, lets the drug giant tap expertise that doesn’t reside under its own roof. Big Pharma companies’ insatiable needs for growing their pipelines and grabbing dibs on hot new science send them running to academic labs. With some pharma groups slashing internal R&D, drugmakers have taken a shining to funding discovery and early R&D work at universities and academic medical centers. Pharma groups have dabbled in commercializing innovations from academia for decades, but what’s happened more recently is a drive to expand the number and breadth of collaborations with academics and other external groups. Traditional pharma players such as Sanofi ($SNY), Eli Lilly ($LLY) and Pfizer ($PFE) have realized that their internal R&D groups alone aren’t enough. Here we’ve rounded up 20 notable pharma-academic collaborations from 2012 or those that made headlines this year. Check out the list and learn where Big Pharma is placing its bets and seeding projects that could yield big-time products down the road. Indiana’s biotech cluster just got a big boost. Eli Lilly ($LLY) and Roche Diagnostics ($RHHBY) have joined an industry consortium that will help launch a new research institute in Indiana that plans to hire a staff of about 100 investigators to pursue new treatments for a slate of metabolic diseases. And they’ll be joined by Notre Dame, Purdue and Indiana University, with the state chipping in the first $25 million of a $50 million startup fund. Industry and philanthropic groups are being tapped for the second half of that start-up budget, with future bills covered by industry and government-sponsored research programs into cardiovascular disease, diabetes, obesity and nutrition. The Indiana Biosciences Research Institute has already put out feelers for a new director and staff, which will be expected to help lead teams of collaborators drawn from the industry as well as regional universities. The new institute’s research mission fits neatly into Eli Lilly’s corporate R&D strategy, which is closely focused on diabetes as one of its key disease areas. INDIVIDUAL SESSION: $129, FULL SERIES: $239This 3-part webinar series is specifically geared toward the non-science professional who needs to better understand industry terminology, science, techniques and issues. This series provides an overview of the science and technology used to enable discovery and the processes scientists use to discover new therapeutics. Register Now!